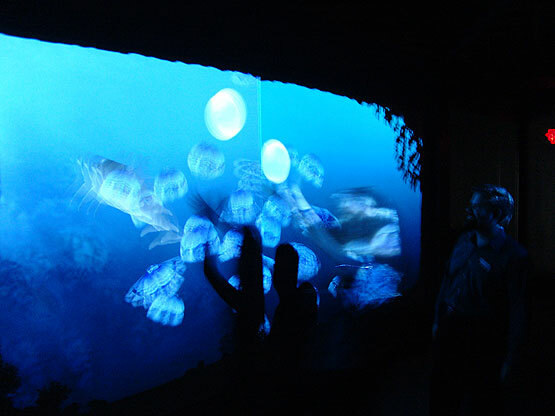 The Florida Aquarium was looking to combine interaction and education in a virtual environment that would handle 30 guests as easily as three. They also wanted to give their guests an intimacy with the animals generally unavailable to anyone but the most seasoned marine biologists. 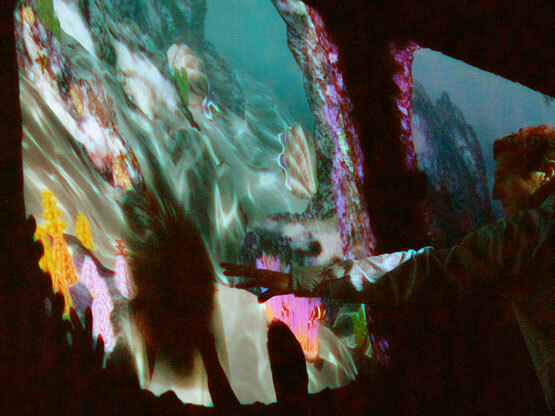 To accomplish these goals they enlisted PlayMotion to create the Virtual Aquarium, a 30 foot wide, triple projector installation which featured animated models of a dozen animals which react to the guests, the environment, and eachother. 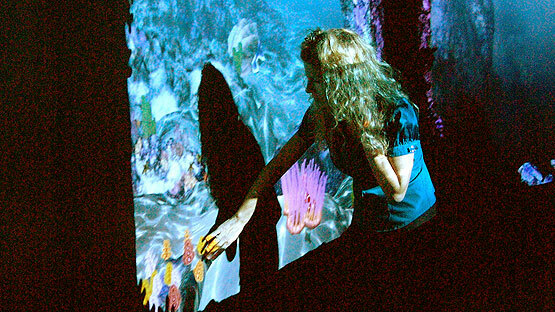 As guests approach the interactive, different animal behaviours are manifested: dolphins are attracted to playful activity; the curious octopus will approach a patient, still person; the shark pays no attention to anyone, and the diminutive christmas tree worms retreat into their holes with the gentle wave of a hand. Every so often, a massive right whale enters the scene, accompanied by an actual recorded whale call. Every creature is touch-active; when children or adults touch the creature, a bubble emanates, revealing scientific facts about it. summoning a right whale in the deep end. 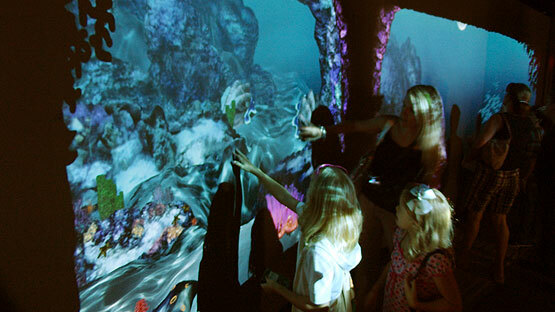 children play and learn about the reef animals. 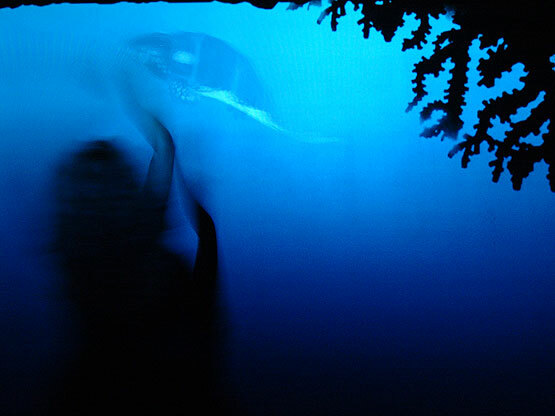 every creature is beautifully animated and textured throughout the experience. 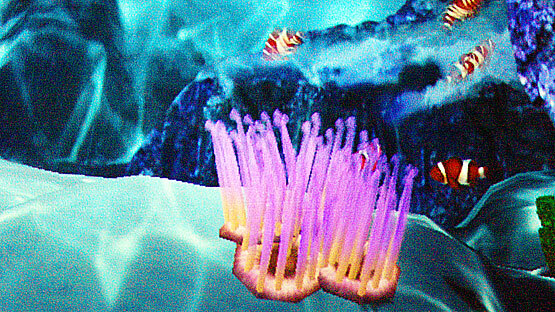 children play with a flock of jellyfish in the deep end. approaching the octopus too quickly triggers an ink cloud and a rapid escape.